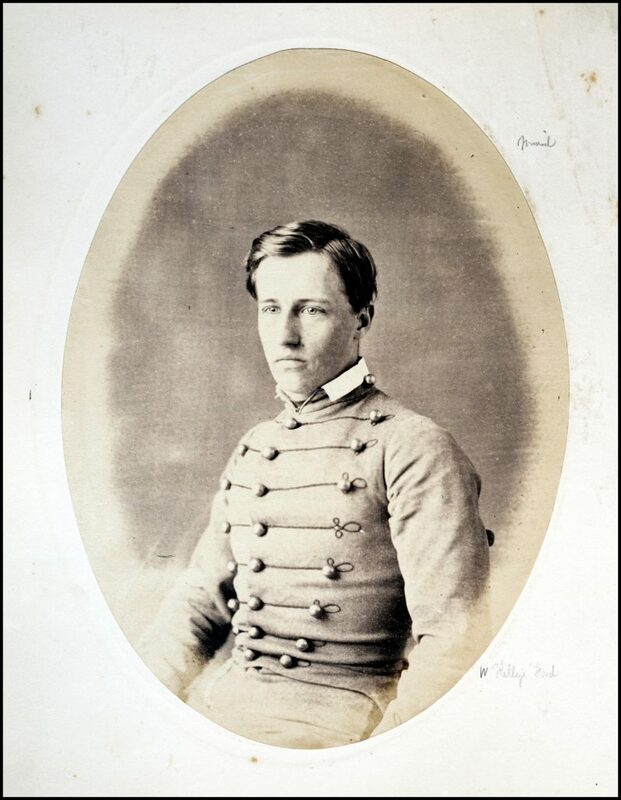 Charles McKnight Leoser in his graduation portrait from the United States Military Academy at West Point. 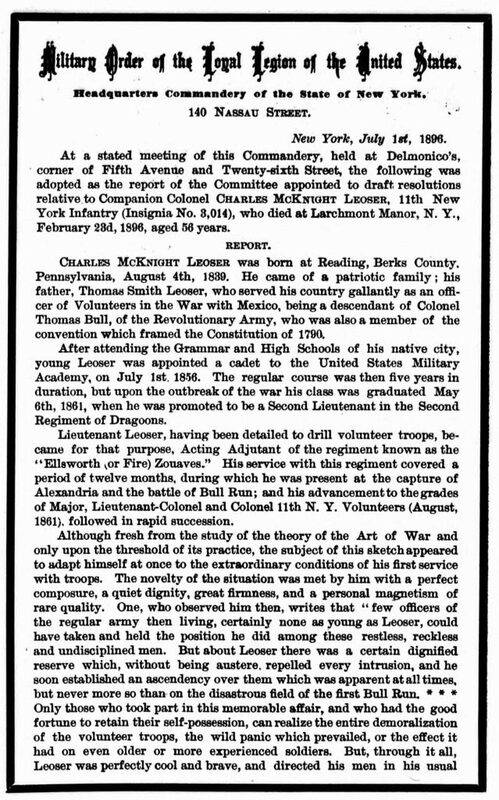 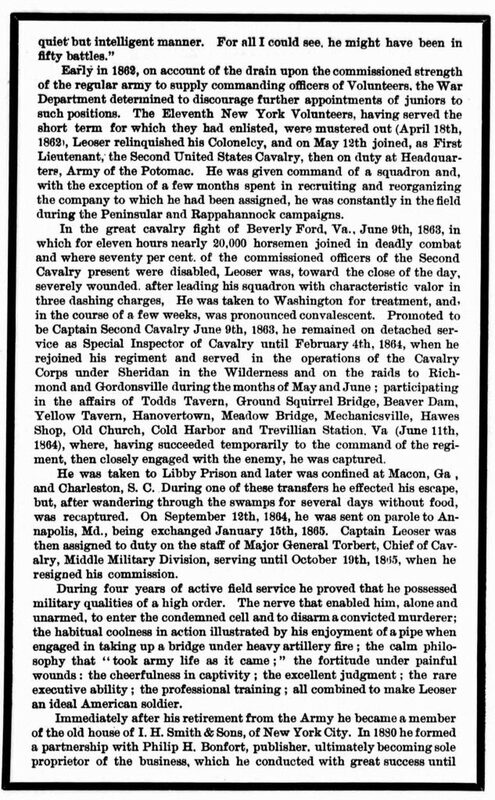 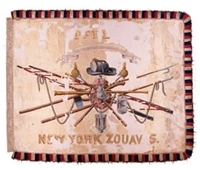 Colonel Charles McKnight Leoser graduated from West Point in1861 assumed command of the Eleventh NY Infantry after the Battle of Bull Run.He lived in Larchmont’s Manor House in the 1890s. 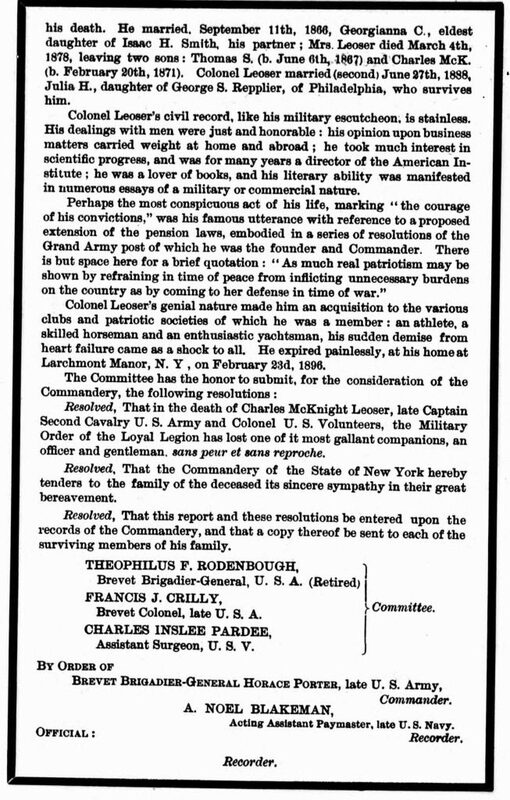 Upon his death he was commended and the document tells his story.